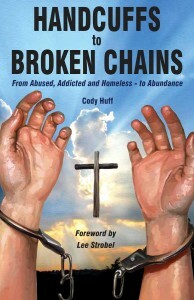 Pastor Cody’s new book “Handcuffs to Broken Chains” is now available to purchase! It will be on sale at Hope Church in Las Vegas on November 1st and is also available NOW to purchase on Amazon. If you purchase on Amazon, please read below how to set up AMAZON SMILE as your login, where any purchase you make on Amazon will give a percentage of your purchase price to the ministry. 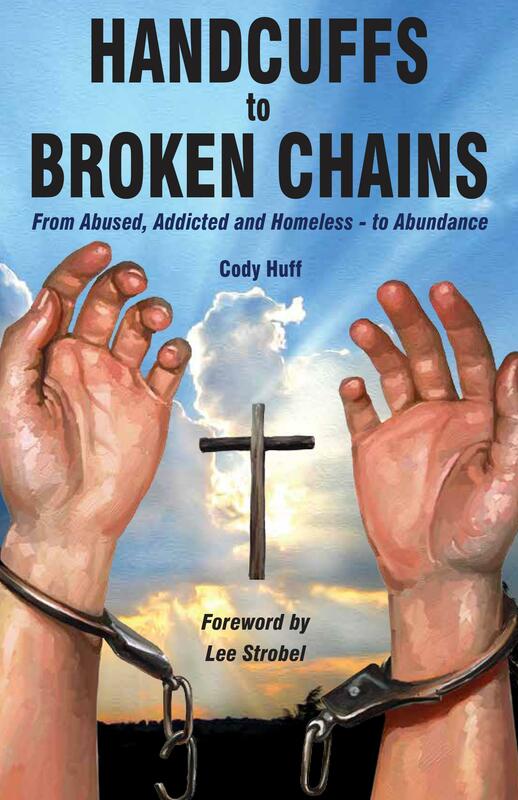 All income earned by any and all book sales goes directly to Broken Chains ministry. A good description of this book can be taken directly from the following foreword by Lee Strobel, author of The Case for Christ and The Case for Grace. These kinds of stories give hope that nobody is beyond redemption and transformation. You’ll read Cody’s story in the pages to come, but let me prepare you: you will be astounded, encouraged, and inspired by how God showered his grace on this man who had spent his entire life running away from Him. Cody’s spiritual journey is among the most colorful and compelling I’ve ever encountered. In fact, he was one of the unlikeliest candidates for following Christ that I’ve ever met. When he first unpacked for me the details of his once wayward life, I was overwhelmed by how God has absolutely revolutionized his soul, turned his priorities upside down, and given him a mission in life that really matters. Now I’m privileged to be his friend and spiritual brother. Are you intrigued? Well, read on – and be ready by the end of the book to breathe a prayer of gratitude to the God who’s still very much in the life transformation business. You can help in contributing to Broken Chains Ministry every time you use your Amazon.com account to purchase most items. Every time you make an eligible Amazon Smile purchase, Amazon will donate .5% to the charitable organization of your choice. By letting Amazon know that you would like that donation to go to Broken Chains Missionary Church, you’ll be helping to continue our ongoing outreaches and interventions with your online shopping. While this small contribution may not seem like much from one person, purchases from all of our supporters help to create a greater momentum throughout the year. The more people donating in this way helps to make the greater impact. We have created a step-by-step instruction sheet on our web site that will help you walk through the process of choosing Broken Chains Ministry as your charity of choice to donate to with your purchases. You can view it by reading more here.